Our extraordinary kids birthday party's lets your children’s imagination soar!! It will be the most talked about party amongst their friends!! 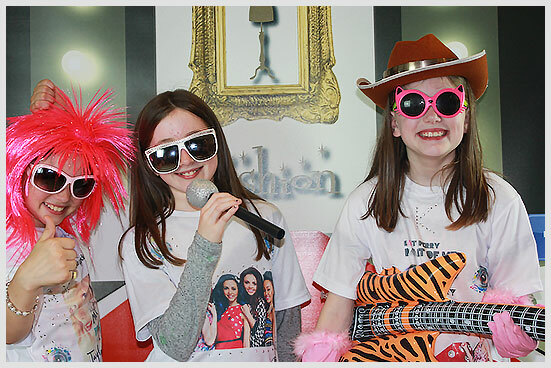 Experience the ‘Be a T-shirt Designer Party’ using rhinestone embellishment. Two hours of fun where a designer will come to your house. On arrival to the party, the children will choose their t shirt images. After having their t-shirts printed, they will then move on to Rhinestone embellishment, where they can add all the sparkles they want!! 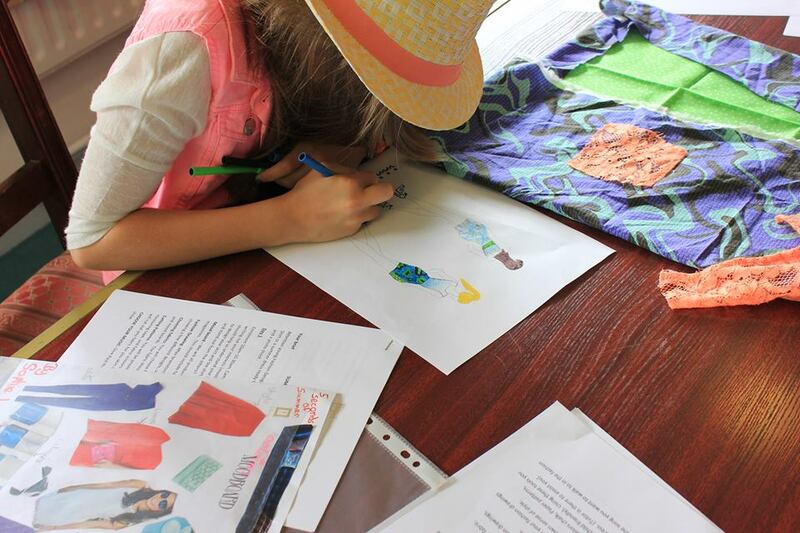 Following this, they will produce fashion drawings using a selection of artists pencils. They will draw their design and ideas on illustration sheets. 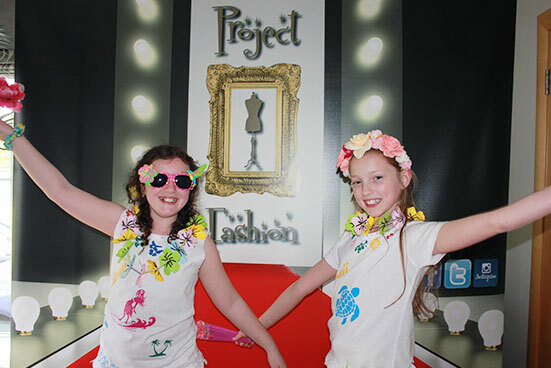 When their T-shirts are complete, they will have a memorable photoshoot with all their friends in front of one of our Project Fashion catwalk banners. 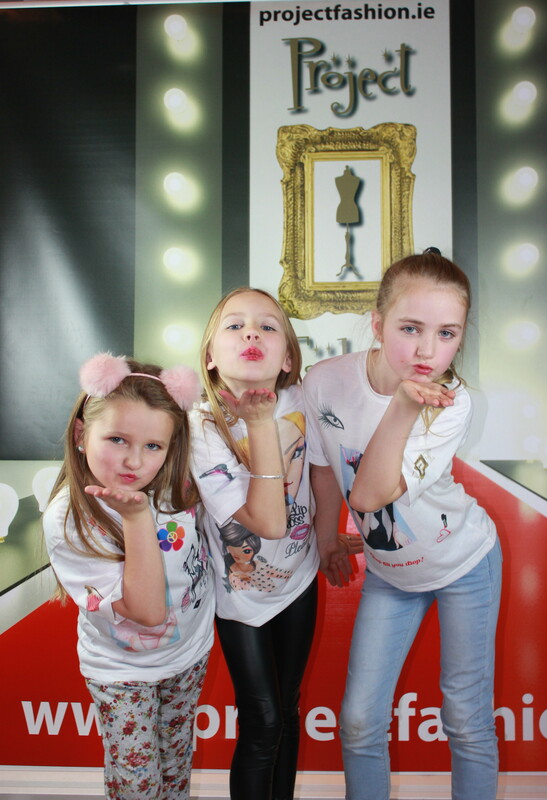 We will change your room into a Catwalk/Photograpic studio with professional lighting and sound system. We can create this set up in any space. Photograph’s will be transferred to your home pc or laptop at the party to remember your special day and is included in the price. All the party goers will leave with their own original hand-crafted piece. Locations outside of the SWORDS HQ area over 20km will incur a €15 charge, over 30km a €20 charge. Locations outside of GALWAY city over 20km will incur a €15 charge, over 30km a €20 charge. Locations outside of ATHLONE over 20km will incur a €15 charge, over 30km a €20 charge. Any artwork that needs to be produced that’s not listed will incur a €25 charge.